Doesn’t this pathway look creepy??? Better yet, it’s even creepier at night when you can’t see anything, but you feel it touching you as you walk. As my trick-or-treaters approach this passageway, they definitely pause to look around before continuing on, not knowing if someone or SOMETHING is hiding ahead through the raggedy, mossy-looking pathway. 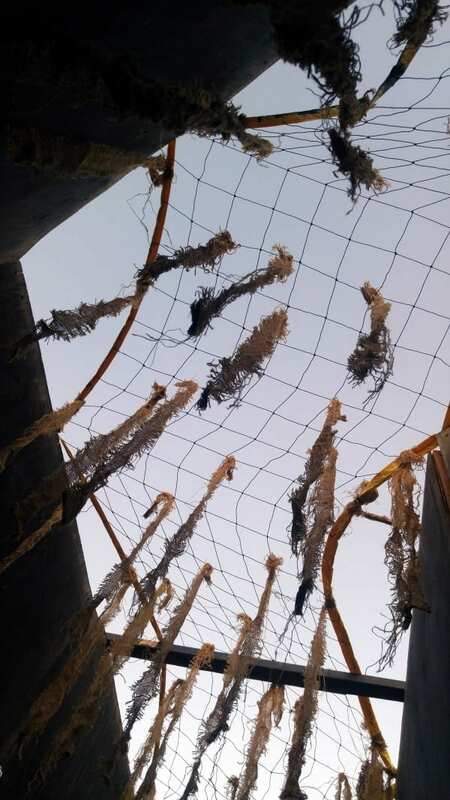 They duck down, squirm, and squeal as they make their way through the long scraggly burlap strips brushing across their heads and shoulders. This project makes for a very eerie atmosphere because a passer-by will not only see it, but it also TOUCHES them too. 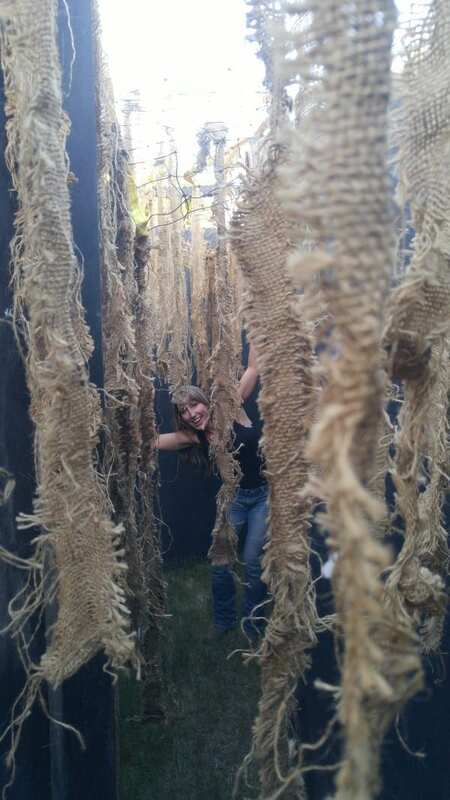 You’d think it took me hours to hang all those strips of burlap to the ceiling, but it didn’t. Actually it took about 20 minutes to make…and the best part is that once it’s made, it literally takes about 5 minutes to put everything back up the next year! Spread out your volleyball net. I hung my net at a low level so I could reach. 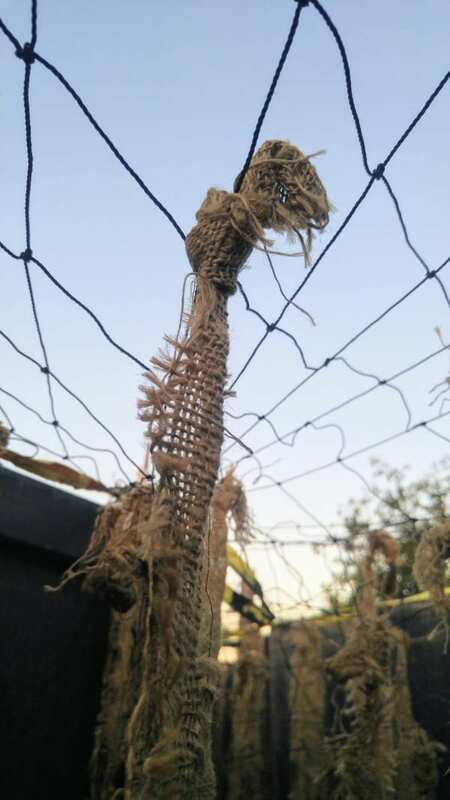 Then I cut up strips of burlap and tied them randomly all over the net. 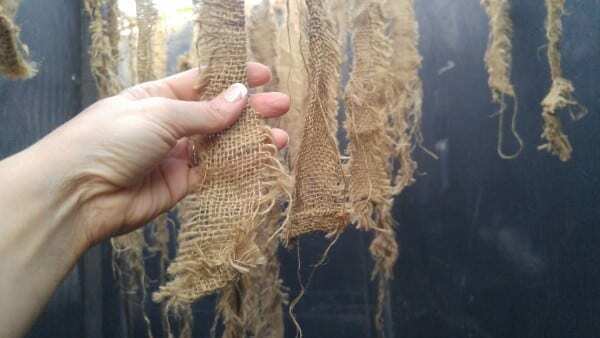 The burlap strips are about 2-3 inches wide and around 2-3 feet in length. 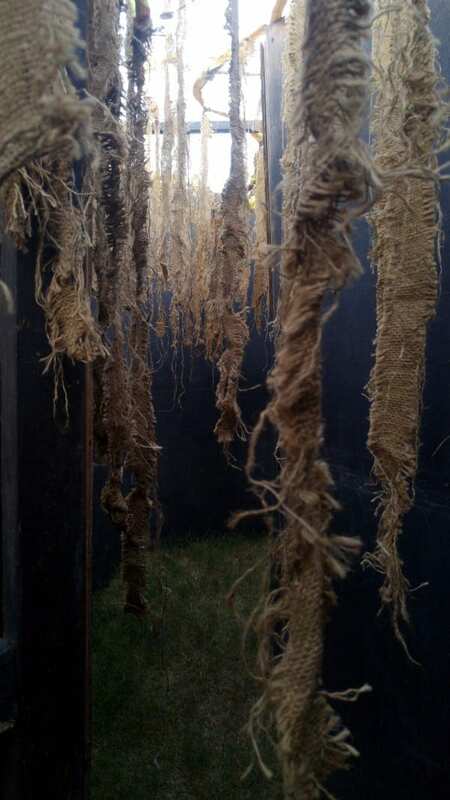 Oh and if you really want to freak your trick-or-treaters out, wet down the burlap before they walk through! The best part is when I take it all down, I simply just throw it all in a bucket with a lid for storage. When I need it for the next year, its all ready to go! Great idea getting this wet. Hadn’t thought about doing that.